Have you ever wondered how cool it would be, if you have your own chauffer and a car with you wherever you go, even for the offshore vacations? Now, it is possible, thanks to the amazing service of ridesharing apps. Ridesharing apps are available for all major mobile platforms including android. They make use of the GPS data of a person making request to hail a ride from the nearest location. Although, it is a fairly nascent concept but, it’s taking over the smartphone world with a storm and more of such apps are mushrooming around the globe every day. If you ever feel the need to try ridesharing, here is our list of five best ridesharing apps available on android to help you reaching a decision. Uber is the flag bearer of ridesharing industry. Established in 2009, it’s the fastest tech startup to the reach top of the billion dollar club with a $62.2 valuation. The San-Francisco based ridesharing company operates in more than 500 cities across 68 countries. It offers simple car sharing, parcel delivery, Chopper service and even private jet sharing among its eminent services. Uber is currently working on driver-less cars and also collaborating with car manufacturers like Hyundai and KIA. Lyft is the biggest rival of Uber, particularly in U.S. It started operations with the name of ZimRide in 2007 and expanded its service from inter-city ridesharing to real-time ridesharing along with a change in the name in 2012. Lyft currently operates in 65 cities within the U.S; however, they’re planning to expand, especially, after a $500 million investment by General Motors. Lyft is also known to have a better legal compliance compared to Uber. The Paris based ridesharing giant is among the handful of European tech startups to become a billion dollar unicorn. It focuses its operations more on inter-city ridesharing with a huge customer base of 20million members across 20 countries. Didi is the toughest competitor to Uber in China. Didi Kuaidi holds 87.2 percent of the private car-hailing market in the world’s most populated country and claims to have booked 1.43 billion rides in 2015 alone. Didi is valued at $16.5 billion. It provides various transport services like private cars, taxis, carpooling, buses, and corporate services. 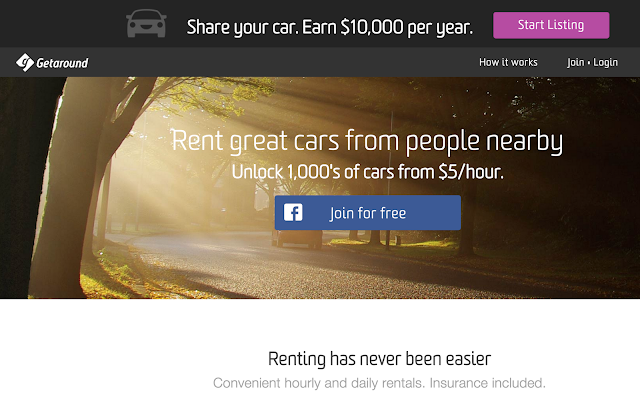 Get Around is a peer to peer car sharing and rental service. It works on the community principle where the members of the same vicinity offer their spare or less used cars for use in exchange for a side earning. Any member looking for a car could see the cars available for rent in his area, on the map and tap on the one he likes. All of above are the market leaders in current ridesharing scene but domestic heroes like Ola Cabs in India or Carma in Ireland also take off a good chunk off the pie from ridesharing menu. Moreover, a top three contender in the ridesharing industry, Side car just closed its operation on the last day of 2015, but it has been taken over by Ford motors who may reinvent it with a new strategy. Muhammad Umair Azam is a law graduate and a savvy tech blogger who loves to read and write about trends in tech, gadget reviews and DIYs.